Connected Car is a Reality Now. 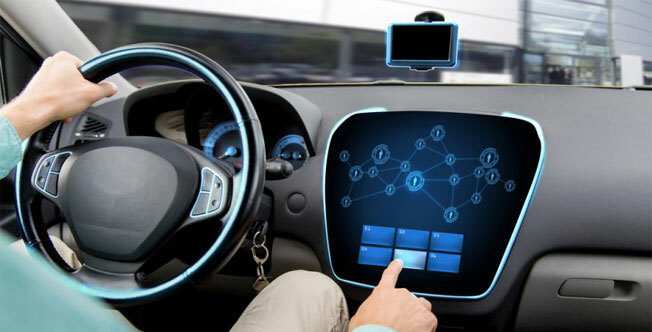 Address the challenges of Connected Car Testing using our test solutions for Infotainment Test, V2X communication, Telematics, Connectivity Standards and GNSS Simulation test etc. Advanced driver-assistance systems (ADAS) are systems developed to automate or enhance vehicle systems for safety and better driving. ADAS features are designed to avoid collisions and accidents by offering technologies that alert the driver to potential problems, or to avoid collisions by implementing safeguards and taking over control of the vehicle.ADAS relies on inputs from multiple data sources, including automotive imaging, LiDAR, Radar, Image Processing, and in-car networking or connected car infotainment. In-car networks provide more infotainment options for increased safety and connectivity. Autonomous vehicles use vehicle to vehicle communication and Vehicle to Infrastructure communication (V2X)to operate the vehicles safely on the road. So the V2X communication should work all the time and all possible scenarios. Testing and ensuring that the devices meet the standard specifications and requirements and time to market is the key for automobile manufacturers. MaxEye Technologies offers complete end to end test solutions for V2X test, GNSS Simulation and Broadcast standard testing. Traffic announcements, emergency alarm and other critical traffic incidents are sent to the vehicle using the various audio and video broadcast standards like RDS TMC, DAB, DRM, DVB etc., So it becomes very critical for a test engineer to have a universal test system that simulate all these standard signals along with GNSS and V2X communication. MaxEye Technologies offers test and measurement solutions for Connected Car Test and Autonomous Vehicle Test.